Meditation and listening to Channeled Angel Messages has so many benefits! However, are you finding that when you start to listen to the angel messages and channeled meditations on this site you're falling asleep? Dont worry! This is completely normal, and it's actually something many people experience due to how much light and energy is transmitted through the channelings! 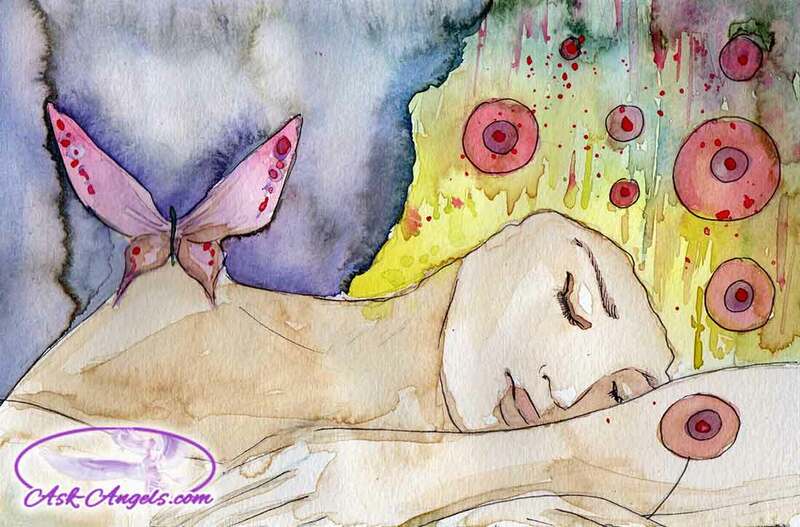 When you first start to tune into the high vibrational messages, the higher levels of energy can literally knock you out and put you right to sleep! But the good news is, even if you fall asleep, you're still gaining benefit from listening to the angel messages! Integrating the higher levels of light and frequency updates happens on many levels including the levels of your Unconscious, Subconscious, Conscious and Super-conscious mind. Especially when you're first beginning to lift into the higher levels of light, activation on the unconscious level is required before conscious integration. And then, as you progress, there are subconscious and superconscious consciousness activations that can only be integrated from a sleep state. …. This is why the high vibe light sessions may put you to sleep! Sometimes sleep is exactly what is required to allow in and integrate higher levels of light. And while there is a clear difference between sleeping and meditation… Both have incredible healing, and restorative properties! Sleeping Through Angel Messages? There Are Still Benefits! Often times the light is working on your unconscious (sleeping) mind which is a delta brainwave state and is one of the deepest levels of meditation and the slowest brain wave state that we experience while sleeping. There's also a chance you're not fully sleeping during the channeled meditations, and rather you're just getting to a really deep theta brainwave and then deep delta brainwave state meditation… What seems like sleep may actually be a healing trance like state from being in deep Theta/ Delta brainwaves. The Delta and deep Theta brainwave states are great for receiving healing and integrating spiritual frequency. 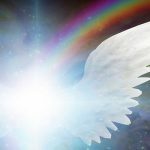 There are of course some of the channeled angel messages which will allow you to have beautiful and powerful conscious spiritual experiences like meeting your guides, and lifting into the realms of spirit which is so amazing to consciously experience. Staying conscious and awake will also help to integrate much of your spiritual gifts into the conscious state. And so while falling asleep during the channeled sessions is in no way “bad” … I did want to share some tips with you on how to stay awake while listening to the angel sessions!! How to Stay Awake During Angel Messages and Meditation! You're more likely to fall asleep when meditating on a full stomach because your energy will be used for digestion, making less available to stay conscious during meditation. Waiting a couple of hours after a meal may help you to remain alert throughout your channeled angel session. When you lay down or recline to meditate there is an association with the sleep state, which may make it more likely for you to fall asleep. Try sitting up straight in a chair, or on the floor cross legged for some of the “Meet your guides” meditations, and other sessions. 3. Repeat each word that is spoken aloud or just in your mind. When you listen to a channeling, one thing can help you to stay alert is to repeat the spoken words in your mind. This is almost like using a mantra with meditation and helps to retain consciousness and remember more of the teaching while also reaching an incredibly high vibration. Repeat the spoken words mentally while maintaining inner awareness and listening for additional inner guidance. Where and when you meditate can play a huge role in your experience. If you meditate late at night, when you're already sleepy, or laying down in bed, your consciousness naturally associates the relaxation experience with heading off to sleep. Another thing you may want to try is getting your energy up before meditating by talking a brisk walk and getting some fresh air before you start. Also, choosing a special chair to meditate in can help you to stay conscious as there is a energy of mindfulness and presence which will be build up, versus the energy of sleep in bed. Meditating sitting up outside in nature is another good way to retain more conscious and awake! And honestly listening to a channeled meditation is one of my preferred ways to relax in bed and drift off to sleep, so it depends on your goals, and the purpose of the guided meditation. If you do really want to stay awake during a meditation, and you use the above methods and still fall asleep, let it be okay! 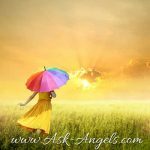 Trust that the angels are helping to bring you exactly what you most need, which in our busy and chaotic world is oftentimes a good healing sleep! PS. Have you tried any of these methods? What helps you to stay awake during meditation and listening to channeled angel messages? I love hearing from you… Leave a comment below and let me know! I love to lay down in my bed when I listen to your meditations it helps me relax more and puts me in a more meditative state. I do say some words of the meditation in my mind as this keeps me awake and aware. In the beginning of the meditation I concentrate on my breathing. Hello. I’m glad u wrote and explain about this because I fall asleep all the time during meditation. I’ve even try not to breathe to deeply ,I thought it might relax me too much but I still fall asleep and that’s not like me. I feel that when I wake up I got nothing out of my meditation because I don’t remember anything?? I sit on the floor (my fav. place) with my knees up and my hands open on my knees and darn I fall asleep..lol I feel like I get nothing out of my meditation….It’s not like I’m exhausted..I don’t understand why I fall asleep so fast..Thanks! Take care! Thank you so much for emailing about falling asleep during the meditations. This happens to me a lot. Then I feel I have not given my best being attentive to the Angels word, or doing my part in the process, so I will ‘re-listen to a meditation several times until I “feel” I can move to the next. I will still follow this practice for myself, but it is nice to know it is ok to fall asleep. I have to laugh, I call fall asleep ANYWHERE when I do. I don’t have a sleep disorder, but seem to be very affected by spiritual stuff, for lack of a better term. I WAS sitting upright in a chair when I feel asleep to the last ascension meditation. I was so at peace when it was over. I find Melanie, that I fall asleep A LOT when I follow your meditations etc., Honestly, I am far from bored. It just has that effect on me. Thank you so much, I really love what you do. I feel very comfortable with it. I usually sit on the chair at my laptop station when I use the meditations, so I am not so comfortable that I would go to sleep during longer meditations. 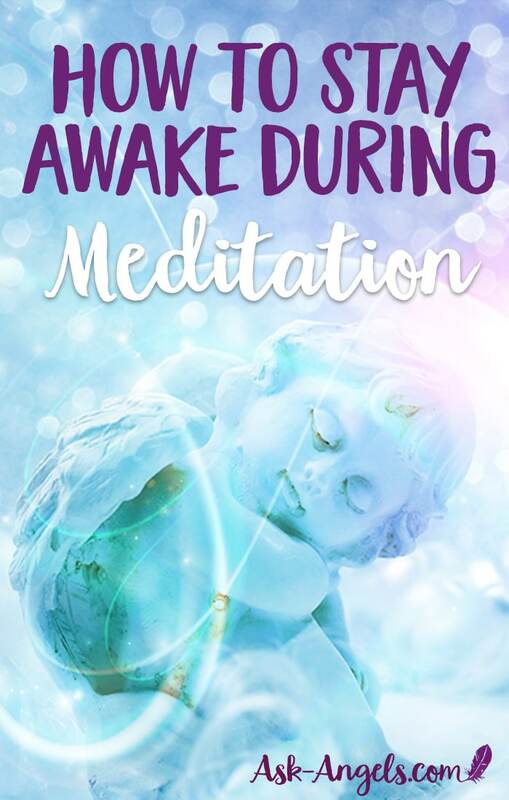 Since using these meditations I do sleep much better than before finding the free ones on your website back in March (since joined the Angel Solution). I have chiming clocks in my room – some are auto turn off at night (11pm) so even with one or two of them still on chime mode I can still retain my link to my room/home even if my mind is elsewhere during sessions – I can hear them chime but quite distant (like in a tunnel). Listened to the channelled meditation you sent for this New Moon with my husband. I was totally hyped up by it whilst my husband went into a very deep sleep. In the past I would’ve nudged him to wake up but this time I heard clearly my guides told me to let him sleep – he seemed so peaceful that I totally knew there was deep work happening on him. This post confirms my feelings about it all. So thrilled you gave us free access to that meditation – it was a major energetic shift for me. I sent you gratitude & love afterwards and I am sending it to you here again – thank U. 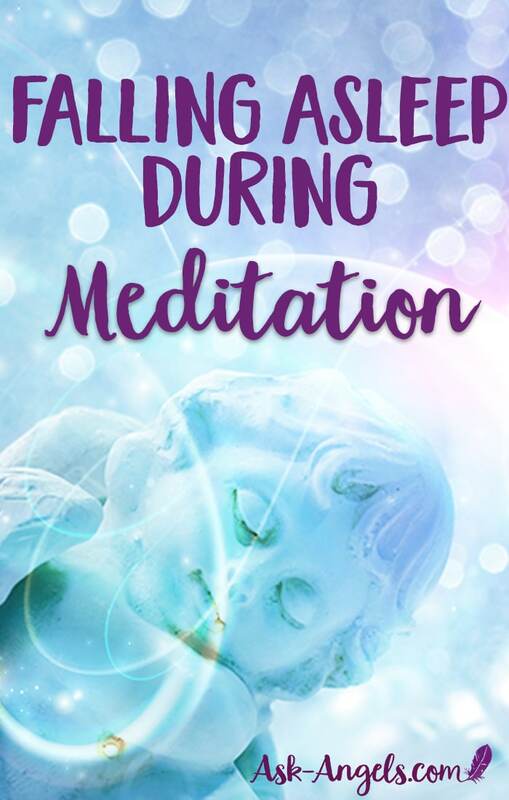 This is very helpful article.I meditate in my bed,at night but most of the time I have problem with falling asleep,except when I meditate.Maybe listening to the Angel’s meditation can eliminate using sleeping pills? My first intuition is to say yes… Though just to clarity, it depends on the type of work you’re doing… If operating heavy machinery or driving I would not recommend listening to the channelings (as they do cause many people to fall asleep). But otherwise you can still get some benefit, as the messages have an incredible ENERGY, even if you’re not consciously receiving the message. Hi I would like to know if I listened to this when I’m working. will I get anything from it?